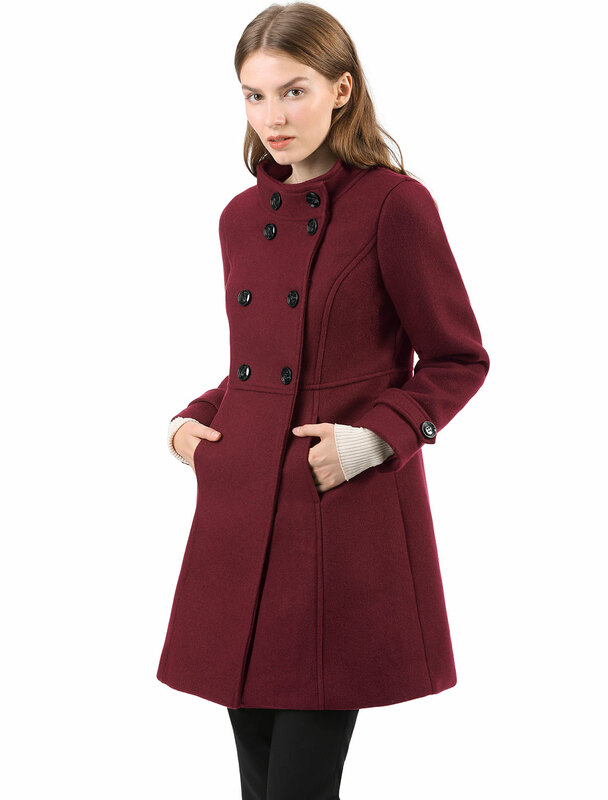 • It is finished with stand collar and slant pockets, keep cozy and chic all at once with this coat. • This double-breasted piece is cut to a fit-and-flare silhouette. • Pull it on over your favorite work or dressy nighttime looks for a stunning polished ensemble. • A chic cut for a simple and sophisticated coat that saves a little bit of flare for the soft warm fabric. • Gorgeous coloring, an open front and clean-cut lines make for an easy minimalist trench coat. • Take on cold days with this stylish mid length coat with its stand collar design and double breasted details. • An elegant classic coat is cut in a warming fabric and is roomy enough for you to wear with extra layers underneath for effortless style. • Body size chart and clothing size chart show fitting size, please check your measurements to make sure the item fits before ordering.